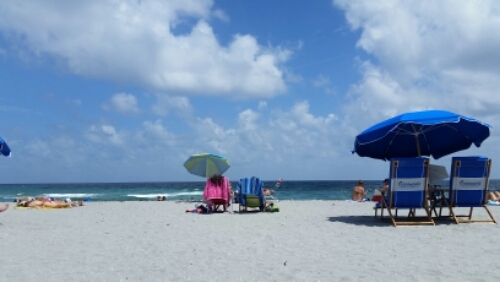 This was my view today from Delray Beach, Florida as I tried to come up with a subject for today’s article. As I tried formulating it in my head, it occurred to me that writing a blog article while sitting on the beach is pretty cool. There could be worse ways to spend the day. Now I just need to figure out how to make a living from it. And I also saved a lady from drowning in about a foot of water. I would like to believe she thinks my day at the beach is pretty much the shizzle, too.